Without having much knowledge about the Nickelodeon series on which this is based, and when I say not much I mean I watched the pilot episode the day before going to see this so I would have some type of background info as to what exactly was going on. Watching the pilot though only made it clear that Shyamalan had crammed alot into this hour and forty minute movie. 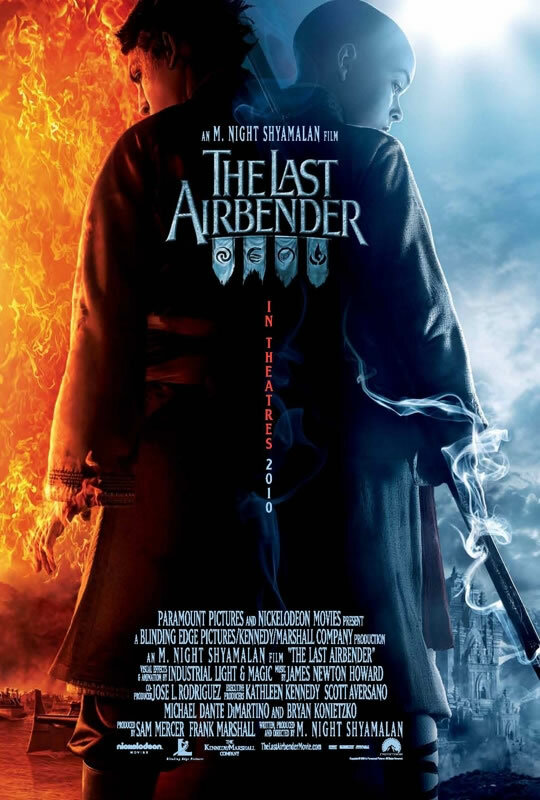 Coming into this unfamiliar with the world of airbenders, I wasn't put off as much with all the exposition that seemed to take place within almost every line of the film. Though I did see what was being done as the pilot I'd watched was crammed into the first five minutes of the film. Besides the fact that we are getting alot of information, so much that even by the end of the film Shyamalan is still trying to explain things about this world. The originality is there and I like the premise and atmosphere that this story has, but this is all due to the creators of the animated series. Where Shyamalan could have taken this world and created a sweeping epic he tries to over-do it and ends up instead having a film that feels less like an epic and more like a film that could have been made by amateurs with deep pockets. The effects look great and some of the set pieces are impressive, but then there are some of the shot choices as well as the acting. Several shots look elementary, and we know that Shyamalan is a gifted filmmaker we saw this with at least his first four films before they began to get completely ridiculous. I'm still not sure what was going on with 'The Happening' but the acting here is quite similar to the acting in that film. It is awkward, but again this is probably due to Shyamalans dialogue. 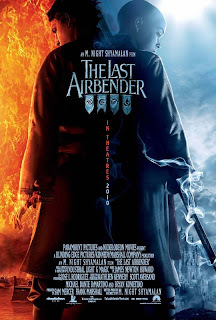 Jackson Rathbone and Dev Patel get the worst of it, Patel playing like a kid impersonating every bad guy he's ever seen while young Noah Ringer is thankfully able to anchor the film with his sweet and subtle performance as the Avatar. There were specific sequences that made me hopeful for this film, when our gang of heroes fights off some fire soldiers in one of the earth regions it was a nice piece of film making that I wish could have carried through the rest of the film and while the final battle sequences have some epic shots and cool special effects (I've always thought water was a cool medium to manipulate) the film just never reaches the level you want or expect it to. This is a PG movie, but it seems it should be much bigger and slightly more serious than this final product. Shyamalan has exhausted his clout and the only way we will get a sequel is if this makes money, lets just hope if it does we get a better film and dare I say it...a better director.